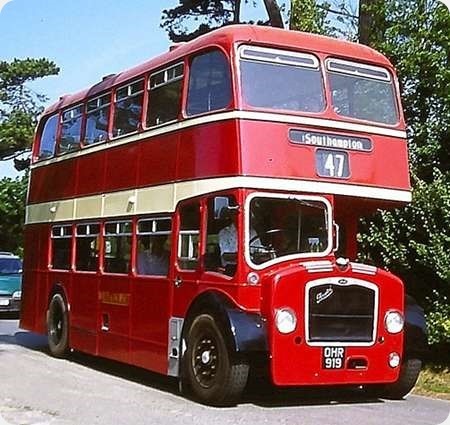 OHR 919 is a Bristol LD6G with ECW H60RD body, new to Wilts & Dorset in 1956. In October 1972, under NBC direction, Wilts & Dorset was absorbed into the neighbouring Hants & Dorset, with both fleets adopting the (poppy) red livery. After withdrawal from normal service, it was converted for use as a driver training vehicle, in yellow livery. There is, however, such a thing as life after the ancillary fleet, and we see it, and the original style of fleetname in the Netley rally on 8 June 2008. A lovely example of an LD Lodekka looking its best and unsullied by CBC between decks radiators. This was my favourite style of ECW body on the LD, having the sloping edge to the canopy (mirrored on the offside by the lower edge of the cream band above the cab), push out vents to the front upper deck windows, upper deck cream band carried around the front, horizontal bottom edge to the cab door window, and the ‘whiskers’ above the radiator grille. Just wonderful. Wilts & Dorset 628 reminds me very much of West Yorkshire’s DX44-58 (RWY822-836) delivered in 1956/57. The sound effects were different to 628’s however, as they were LD6Bs with Bristol AVW engines, apart from DX48 (RWY826) which was fitted with a Gardner 6LX engine by West Yorkshire in 1958. A minor point of interest is that 628 appears to have acquired an early F-Series Lodekka cowl at some point. The giveaway is the registration plate, which is offset to the offside in order to accommodate the elongated hole for the revised step for crews to access the destination winding handles. The LD cowls had a centrally-mounted registration plate with a smaller hole and step either side of it. This minor detail does not detract from the appearance of this beautiful vehicle whatsoever. It’s a credit to its owner. How nice to see a Lodekka in a rich red colour, rather than the green that pervaded most of these vehicles. Thank you, Brendan & Chris. I suppose the red, being the standard Tilling, was the same shade as Brighton Hove & District, Cumberland, United, West Yorkshire and one or two more. Certainly more "distinguished" than what followed in NBC days! I’m sure that the Wilts & Dorset Tilling red was the same as applied to Cumberland, United, West Yorkshire, as mentioned above by Pete. I’m not so sure that the Brighton Hove & District red was the same. Although it was a Tilling company, the livery was the same as that applied to Brighton Corporation. The different application of the amount of cream (that DOES look a different shade to the others) for that fleet makes the red look a different shade – but this may be a deception. Perhaps someone has a factual knowledge. If United buses weren’t this shade of red, they were only a kick in the proverbial off it. I don’t know about Wilts and Dorset, but round about the mid 60’s, United changed the wheel colour to red. Only a handful of VR’s were ever in the traditional United livery, but the upper cream band had disappeared. Thank you, Michael & Ronnie. I wondered at your statement that green Lodekkas were in the majority, so I looked through the production table in Martin Curtis’ excellent book. Of the 25 fleets in BTC”Tilling Group”/|THC ownership that took new Lodekkas, 13 were green; if by the time of the delivery of Westcliff on Sea’s six they wore the same livery as their parent company Eastern National. Thus 11 of the BET/ THC fleets were not green. Two (Midland General/ Notts & Derby) being blue and the others red or (Cheltenham District) maroon. 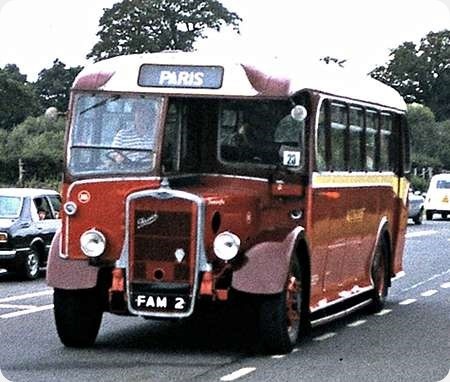 Within the Scottish Omnibuses group only one fleet took green Lodekkas new, with two using blue and the rest varied shades of red and maroon. That equates to fourteen green fleets and seventeen not green. Note this is based on data as new, with one FLF going to Bristol Commercial Vehicles experimental Department, and this was also red. However, when the figures are totalled for “green” Lodekkas, you are vindicated in that “green” fleets took 2945 and not-green fleets took 2271 (plus one new as a manufacturer’s test bed, giving 2272). Eastern National was third with 381, with if memory serves 25 new in mainly cream, so even if we had a recount on that basis it would still be a Brexit sort of majority, rather less than the Scottish Indyref style one the raw figures give. Of course my electoral college would give the result to not-green. Fourth was Central SMT who took 355, initially LD6Gs then FSF6Gs, FLF6Gs FS6Gs and from 1965-67 FLF6LX’s; of the three Lodekkas at Glasgow Vintage Vehicle Trust’s Bridgeton Bus Garage, two are ex-Central a 1957 LD6G and a 1968 FLF6LX. Now of the shades of red used for new deliveries, Central it seems had the darkest, but it may have been the same as Cheltenham District and almost certainly David Lawson. 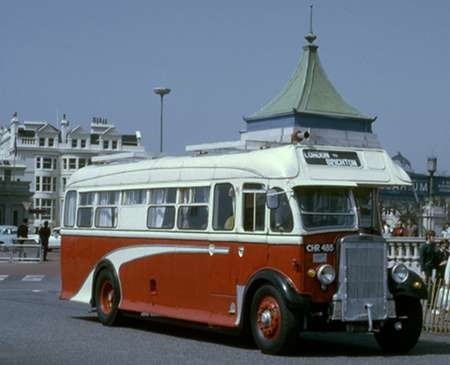 Western, Alexander (Perth City and Kirkcaldy Town services) and Highland (second-hand) had Scottish Bus red which was darker than Tilling red. It may be the greater areas of cream but I think Brighton Hove and District did use a brighter shade of red than ‘Tilling’ red; maybe perversely, this was actually the same red used by Thomas Tilling in Brighton and (pre-LPTB) London. The brightest red on new Lodekkas was that used by Alexander (Fife) after the split of Alexander into three in 1961. The shade was Ayres red, the same as British Road Services used. (In a former home I was able to sell Fife FRD 187 (BXA 452B) from its non-PSV use to preservationists who have restored it.) I do not think that Thames Valley had any of their Lodekkas delivered in the maroon and cream coach livery although some were repainted thus. Now the English blue fleets were maybe slightly darker than the Scottish but both shades were described as Azure blue. Lothian Green, used by Scottish Omnibuses from 1965 was probably a little darker than Tilling green but under some lighting conditions prints of Eastern Scottish Fleetlines made me think of Mansfield District VRTs. Prior to 1965 a light green and cream was used with dark green mudguards and lining out. Out of the Alexander Companies post-split, Northern received no Lodekkas, which had been ordered for the Fife and south regions (including Lawson) and only had two forward-entrance half cabs until 1978 when a half-dozen former Eastern National FLFs were transferred to them. Northern General group were as far as I can recall the only former BET affiliate to get cascaded Lodekkas and it happened twice; both times before the corporate livery era, some were green and some red.